Home / Blog / What is value, and why should you do business with us? When searching for the right HVAC company what are you looking for? Are you simply looking for the lowest price, or are you really looking for the highest Value relative to that price? I would argue most consumers do a cost-benefit analysis, otherwise known as a “VALUATION” before they make a purchase or decide to put their trust in a company. We scratched our heads for quite some time trying to put into words what the purpose of our company was, and we finally did it with that mission statement. An all-encompassing representation of what being in business means for us. In any great organization, the employees are held in the highest regard as the individuals responsible for the driving factor behind the company mission, which is in our case, is to provide YOU with an exceptional experience. 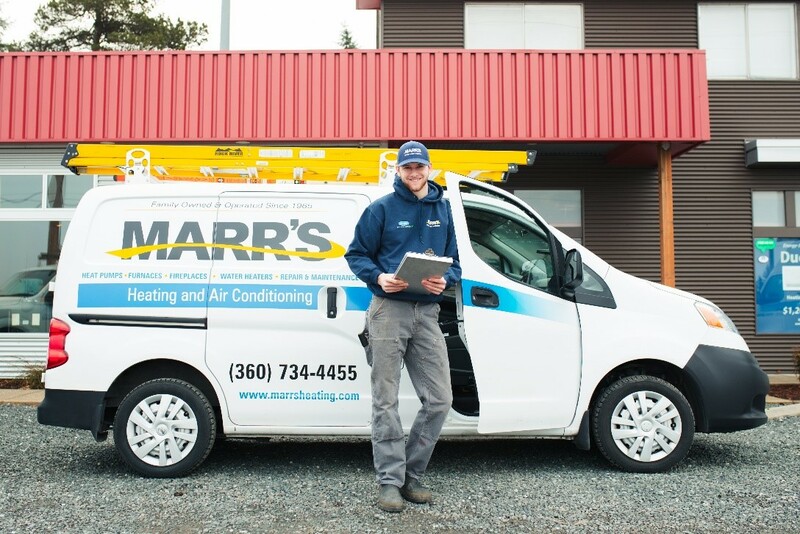 In that Marr’s Heating van that you see driving around town is a highly trained exceptional individual that is expected by US to provide YOU with an exceptional experience. To stay in business, we have to charge an adequate amount for our services so that we can pay for our employee wages, benefits, and for company resources, all to simply keep the cycle going and continue taking care of our customers. We may never be the cheapest company to do business with, and it is not because we do not care about our customers, it is, in fact, the opposite. We insist on being a VALUE driven company. We hope that our customers are able to see the tremendous amount of work being done by all of our Local service companies, and I think it is important that everybody understands how fortunate we are to live in a community such as Whatcom county that continually provides companies that compete on quality and value instead of price.